One of the American Planning Association's most popular and influential books is finally in paperback, with a new preface from the author on how thinking about parking has changed since this book was first published. 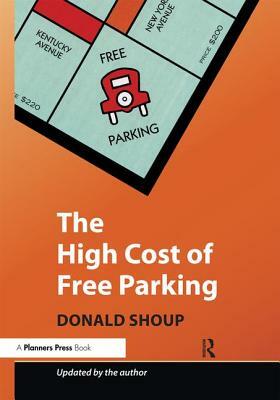 In this no-holds-barred treatise, Donald Shoup argues that free parking has contributed to auto dependence, rapid urban sprawl, extravagant energy use, and a host of other problems. Planners mandate free parking to alleviate congestion but end up distorting transportation choices, debasing urban design, damaging the economy, and degrading the environment. Ubiquitous free parking helps explain why our cities sprawl on a scale fit more for cars than for people, and why American motor vehicles now consume one-eighth of the world's total oil production. But it doesn't have to be this way. Shoup proposes new ways for cities to regulate parking - namely, charge fair market prices for curb parking, use the resulting revenue to pay for services in the neighborhoods that generate it, and remove zoning requirements for off-street parking. Such measures, according to the Yale-trained economist and UCLA planning professor, will make parking easier and driving less necessary. Join the swelling ranks of Shoupistas by picking up this book today. You'll never look at a parking spot the same way again. "Donald Shoup is a professor of urban planning at the University of California, Los Angeles. He holds a doctorate in economics from Yale and is a Fellow of the American Institute of Certified Planners."